This piece was authored by Austin Henshaw. To say the first week of Donald Trump’s Presidency has been eventful would be an understatement. Between the emergence of “alternative facts” in regards to Inauguration Day crowd sizes (prompting sales of Orwell’s 1984 to skyrocket), Trump’s rejection of the Trans-Pacific Partnership (despite its net liberalization effects on the economy), and the controversial Executive Order on immigration signed on Friday, there is certainly a lot to comment on during The Donald’s first week. Underlying the controversy of this past week is the role White House Chief Strategist Steve Bannon has in shaping much of Trump’s actions and rhetoric. Indeed, Bannon and Senior Advisor to the President Stephen Miller both co-wrote Trump’s Inaugural speech, peppering it with protectionist and nationalist rhetoric. Additionally, on Saturday the White House released National Security Presidential Memorandum 2 (NSPM-2), further cementing Bannon’s power. 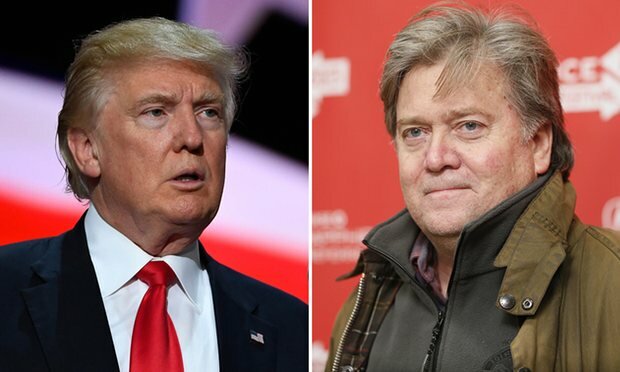 NSPM-2 invites the President’s Chief Strategist (Steve Bannon) to attend all National Security Council (NSC) meetings and establishes them as a regular member of the Principals Committee (putting them on par with the Secretaries of Defense, State, Homeland Security, and Treasury). What is unusual about this move is the NSC does not typically include participants from the political wing of the White House. There is a valid fear that Bannon’s role in the NSC and PC meetings may be to insert domestic politics into national security decision making, which could prove detrimental to national security objectives. Another area of concern is the role Bannon has had in writing many of the executive orders issued by Trump thus far, especially his role in developing the Executive Order on refugees and immigrants from specified countries in the Middle East, which was not vetted by relevant agencies such as Department of Homeland Security, the Justice Department, Department of Defense, or the NSC lawyers who were prevented from evaluating it. The Office of Legal Counsel gave a “no comment” response when asked if it was given the opportunity to review the executive order, an opportunity they are typically afforded. Despite arguments about the constitutionality or legality of the executive order, including green card holders, at the insistence of Bannon, punishes legal permanent residents of the United States. This has the consequence of preventing individuals like Faisal Saeed Al Mutar, a fierce critic of Islamism and powerful voice for Islamic Reform who himself has been pursued by Al Qaeda, from being able to leave the United States as he may not be able to come back. On January 25th a Rogue POTUS Staff Twitter page was established, similar to other government agencies which have had their communications limited. While there is no way at this time to confirm it is 100% valid without the users of the account potentially being found in violation of the Hatch Act, they have shared information that was later confirmed by mainstream media before it became public knowledge (Pence, Priebus, and Bannon sitting in on Trump’s call to Putin and the Mexican President cancelling his upcoming meeting with Trump). As with any source you can’t verify completely, skepticism should be exercised. Based off of the shared tweets, it appears as if there is a civil war between Priebus and Bannon to control the White House and influence Trump. Given the evidence we have so far, it appears Bannon may be winning this battle.